The hip joint is one of the body’s largest weight-bearing joints and is the point where the thigh bone (femur) and the pelvis (acetabulum) join. It is a ball and socket joint in which the head of the femur is the ball and the pelvic acetabulum forms the socket. 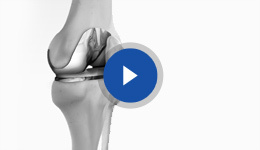 The joint surface is covered by a smooth articular cartilage that cushions and enables smooth movements of the joint. Congenital deformities, complex fractures and complex injuries affect more than one structural component of the hip joint. Thus their treatment requires an individualized approach which includes proper diagnosis and a unique treatment plan, depending on the individual problem, which may involve more than one type of treatment and surgery. These reconstructive surgeries are categorized as complex hip surgeries. They aim at reconstructing the hip joint rectifying the patient specific problem to relieve pain and provide best possible stability and function. They also include surgeries to reconstruct bones of the hip after removal of a part of the bone to treat bone cancer.